Military service can offer many benefits to not only the country at large, but also the person serving. The discipline, education and growth that come from service is invaluable. However, the considerable lifestyle difference inherent in the shift back to civilian life can be difficult. One way that some financial institutions are easing this difficulty is via special home loan rates for veterans. 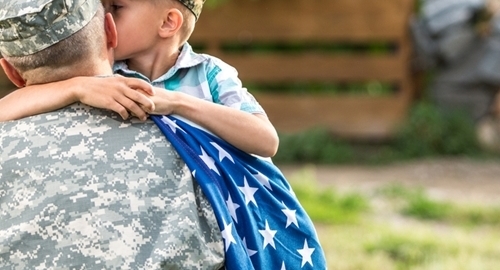 Known as VA-guaranteed loans, these special offers come with a variety of advantages for those who were in the armed forces. In many cases, the buyer is exempt from putting a down payment, and could be eligible for a special rate, thanks to the backing of the Veteran's Administration. Private lenders are able to offer greater lines of credit than they might otherwise, thanks to the knowledge that there is a venerable institution providing support. It is important to note that there are still fees associated with using this sort of funding to purchase a home, including closing costs and taxes. For financial institutions that are interested in providing this sort of funding, an amortization calculator is a valuable tool, as it allows the organization to easily keep track of all of the details of repayment, regardless of the type of loan offered.